Many students are drawn to fantasies with richly imagined worlds. Here are some favorites for a wide range of ages -- enjoy getting lost in these wonderful worlds. This is an eclectic mix of picture books, graphic novels, middle grade novels and young adult fantasies. To explore a wider range, check out my Goodreads fantasy shelf. As you look for fantasy books for children, please pay special attention to the variety of characters, legends and racial/ethnic groups represented. 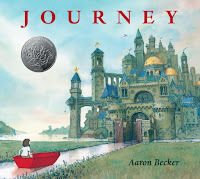 Journey, by Aaron Becker: In this sweeping wordless picture book, a lonely girl escapes to a magical world with the help of a red crayon. She travels through several worlds, friendly and hostile, discovering her inner strength as she escapes an army of warlords. Lush illustrations bring these imaginative worlds vividly to life. 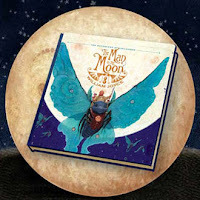 The Man in the Moon, by William Joyce: This gorgeous, imaginative picture book opens the series for the Guardians of Childhood, introducing readers to the fantastical legend of the Man in the Moon (MiM). When the wicked Pitch, the King of Nightmares, kills MiM’s parents in an epic battle, the baby MiM is whisked to safety by his guardian Nightlight. As MiM grows up, he is determined to watch over the children of Earth, like Nightlight watched over him. Ocean Meets Sky, by Terry Fan and Eric Fan: In honor of his grandfather who has passed away, young Finn builds a boat for the journey they always wanted to take. Finn then crawls inside to sleep and dreams of a massive golden fish who takes him on a journey, in search of the magical land of his grandfather’s stories. Filled with atmospheric blend of Asian imagery and dreamlike fantasy worlds, this beautiful, magical picture book immerses readers into a young boy’s search for healing. Aru Shah and the End of Time, by Roshani Chokshi: When 7th grader Aru Shah lights the cursed Lamp of Bharata in her mother’s museum, she is thrown into the world of Hindu gods and mythical characters. Aru discovers she has been born with the soul of a Pandava brother, and she must use her powers to defeat the Lord of Darkness. Chokshi draws readers into an immersive world intertwining Hindu folklore, feminist outlook and action-packed thrills. Endling: The Last, by Katherine Applegate: Perfect for fans of Erin Hunter’s Warriors series, Endling layers excitement, fantasy and probing questions about survival. Byx, a young dairne (imagine a human/dog mix), must survive alone after her entire clan is murdered by the power-hungry humans. With the help of two new friends, she seeks answers and the mythic Dairneholm in this epic fantasy novel. Where the Mountain Meets the Moon, by Grace Lin: Grace Lin blends Chinese folktales with an epic quest in this enchanting novel. Like her father, Minli is a dreamer and loves stories. Hoping to bring her family good fortune, she seeks the Old Man of the Moon, for he might be able to share his secrets with her. 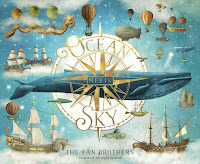 Lovely illustrations intersperse the main action and folktales, all influenced by traditional Chinese stories and art. Readers will be inspired by Minli’s courage, loyalty and quick thinking. 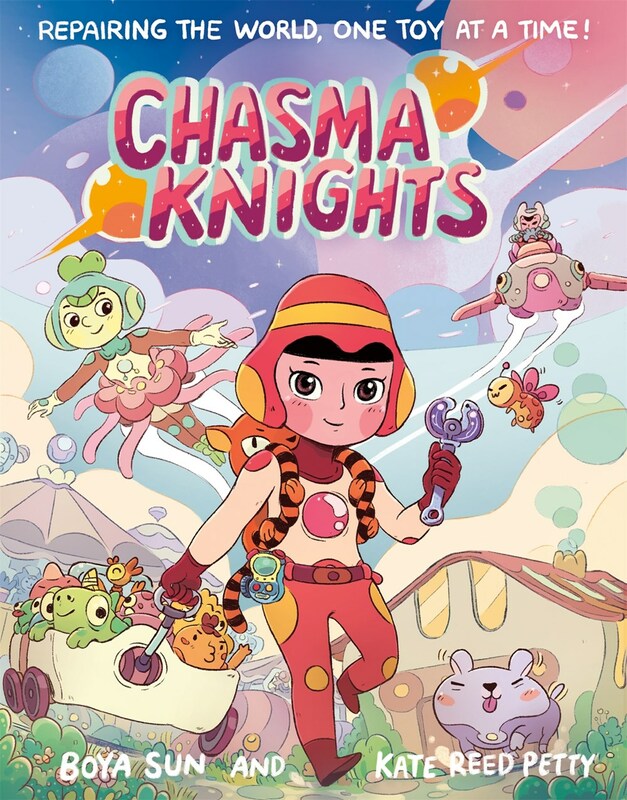 Chasma Knights, by Boya Sun and Kate Reed Petty: In this delightful graphic novel, Knights can “catalyze” with their toys, merging and mind-melding their powers. Young readers will empathize with outcast Beryl, who yearns to catalyze with toys, and imagine ways their toys can come to life in this inventive story. Princeless #1: Save Yourself, by Jeremy Whitley, illustrated by M. Goodwin: When Princess Adrienne’s parents lock her away in a castle guarded by a dragon to await rescue by a prince, she decides to take matters into her own hands. I love this feisty heroine--we have so few stories with characters of color, where race isn’t an issue. Readers are able to enjoy classic fairy tale setting in this graphic novel, while turning so many stereotypes and tropes on their heads. Children of Blood and Bone, by Tomi Adeyemi: Seventeen-year-old Zélie must save her community of diviners from the king's vengeful genocide in this exciting blockbuster debut. I was captivated by the richly drawn fantasy world full of West Africa imagery, but the action-packed chase and shifting allegiances are what kept me hooked. The Legacy of OrÏsha will continue next spring, as Adeyemi releases the second in the series: Children of Virtue and Vengeance. Warcross, by Marie Lu: Combining fast-action video game battles with intriguing underworld mysteries, Marie Lu hooks readers with a perfect series-opener. Emika Chen hacks into the immersive virtual reality game Warcross championship games, but instead of getting into trouble, she's invited to meet the game's creator, who's picked her for a top-secret job. As she uncovers a sinister plot, Emi must choose whom to trust. "Absolutely immersive. Cannot put this down," is what I wrote to myself as I zoomed through this.